What is the Appeal of African Flowers? 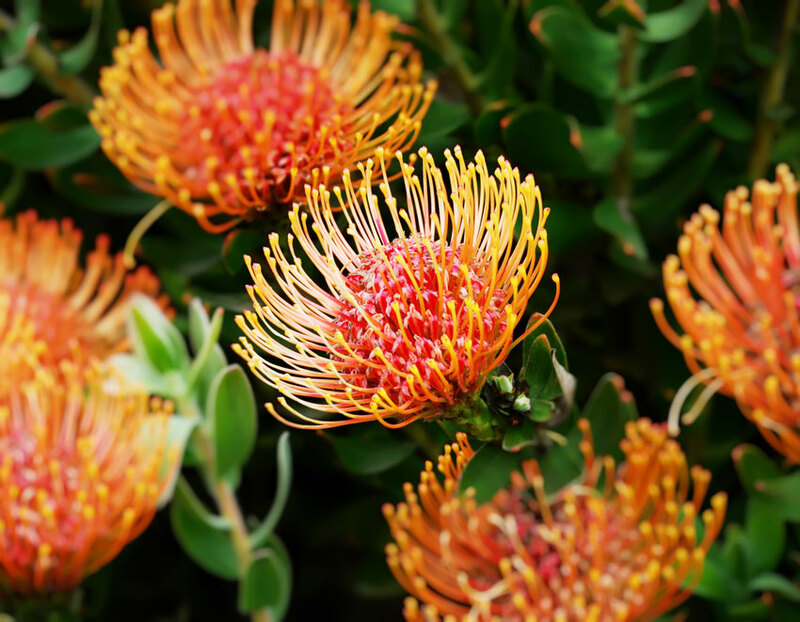 African flowers, along with many other species of tropical and exotic plants, have stirred the imagination and captured the hearts of explorers, gardeners and common man alike for centuries. Often so different from European species that they seemed almost alien, exotic African flowers were the source of many expeditions into the heart of the massive continent. Due to the popularity of these African flowers, Royal bounties were occasionally created to encourage explorers and botanists to find new and rare species that could grace a court and impress friends and rivals alike. Many of these expeditions took place over several hundred years, with numerous species of African flowers, plants and animals being discovered each time. Although these expeditions were often fatal, (the local wildlife might opt to say "tasty" instead), they attracted many well-off people with imagination and wanderlust. Great numbers of books and sketches were made of these species, and eventually many African flowers were brought back home for cultivation. In modern times, a large number of these African flowers are commonly present in gardens are used as gifts. It's quite common for people to be wholly unaware of the origins of these plants. Unfortunately, like many other wild species of plants and animals, African flowers are being endangered by human expansion and industrial development. Habitat loss is a serious issue that can be difficult to content with, and even more difficult to prevent. Most corporations back the destruction of natural habitats due to the amount of potential profit involved in doing so. Most governments back this as well because the corporations back the governments. Without corporate support, most political parties have no sources of income. Because of this corruption, it can be almost impossible to deal with habitat loss in Africa, South America and Asia. African flowers and other species will continue to be threatened as a result. This is not just damaging to the flowers themselves, but to the entire ecosystem of the area, and the world. By removing an integral component of an ecosystem, you generate a backfire effect that can wipe out far more than it might originally seem possible. When a species of plant disappears, the lives of animals and insects that relied on it for food and shelter are also hindered. The animals may be forced to eat or shelter under other species, which can put undue strain on their ability to grow. If there are no alternatives, they might end up starving, decreasing populations across the board. Once the animals start to die, other animals that hunt them will be limited for food and forced to find other sources or also face dying off. Once the plants and animals have died off, a giant cascade of destruction will severely damage or eve wipe out the entire ecosystem of that region. Once that has occurred, the entire planet begins to suffer. The loss of large oxygenating plants like trees will increase greenhouse effect, which can ultimately tie into global warming and the destruction of the ozone. All of this is caused by people cutting down trees to make paper products like flyers and junk mail that gets thrown in the garbage and left to rot in a landfill. It doesn't make a great deal of sense, when considered carefully, but from a business point of view it often doesn't matter what the future ramifications are. Future profit is not as critical as present profit, after all. Fortunately, there are some things that can be done to help. By joining activist or environmental organizations, you can begin to learn more about the harmful effects of human expansion. Once armed with this knowledge, it becomes easier to share it with others, in hopes that they too will seek out more information. As residents of this planet, we have a duty to ensure that it survives. If we don't, we won't survive either. Corporate greed and mass ignorance are both things that need to be dealt with before it's too late. If this is not done, African flowers and other species from around the world will soon vanish. In the meantime, if you have an interest in growing, collecting or displaying African flowers in your garden or at home, your best resource is the local florist. You can often find many species of rare and exotic African flowers in their shop. They can make great additions to your home or garden, and work well as gifts for people with a passion for exotic species. Visit their online store to order and arrange delivery of African flowers. This can save time if you are busy, and ensure that you or your friends and family can enjoy them in no time at all. Bouquets and other floral displays involving these rare species will be easy to love and treasure, just as they should be in the wild.